Tench Francis was the son of Rev. John Francis, Dean of Lismore and rector of St. Mary’s Church in Dublin. Sometime before 1720, after studying law in London, he moved to America as an attorney for Lord Baltimore. In Kent County, Maryland, he opened a law office and in 1724 married Elizabeth Turbutt. From 1726 to 1734 he was clerk of Talbot County Court before being elected for a three-year term as legislative representative for Talbot County. After his move to Philadelphia in 1738, Francis’ legal knowledge and eloquence soon gained him considerable prominence. He served from 1741 to 1755 as attorney-general of the province of Pennsylvania and, from 1750 to 1755, as recorder of the city of Philadelphia. 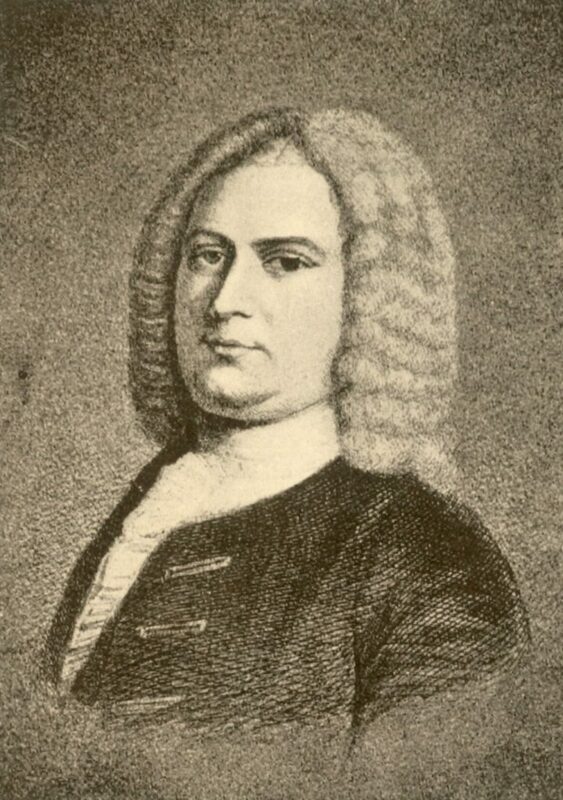 A founding trustee of the College, Academy, and Charitable Schools of Philadelphia (origins of the University of Pennsylvania), he sent his sons Philip and Turbutt to the Academy during his term as trustee. His daughter Margaret married Chief Justice Edward Shippen, and a grandson Tench Tilghman, A.B. 1761, became an aide to Washington. Tench Francis died in 1758.